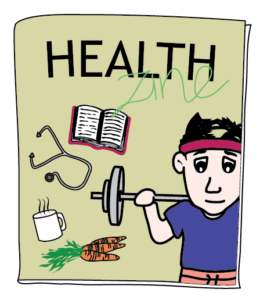 Introducing Body & Soul’s New Monthly Health Zine! Body & Soul > News > Introducing Body & Soul’s New Monthly Health Zine! We're launching a new Body & Soul Wellness Zine on WeChat! Make sure to follow us on WeChat (scan the QR code or find "BodyAndSoul"'s official account) to get this month's edition! We hope you LOVE the new health digest! Our team is dedicated to bringing you Better Health for a Better Life through excellent holistic care and education. We welcome your feedback and suggestions for topics. 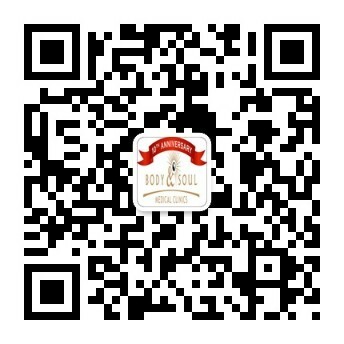 Scan the QR code below to follow Body & Soul or add "BodyAndSoul" to your list on Wechat and get our monthly digest. Sharing is caring! Invite your friends to access great health and wellness content by sharing our page with them or sharing articles you enjoyed reading. Winter Blues: Stuck in the post-holiday doldrums? Meet our new Podiatrist Charlie Lau!